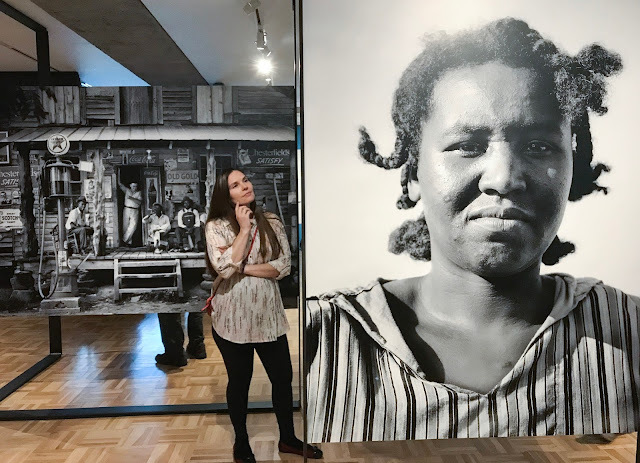 Even though it was the Friday before finals week, LMC photo II and Documentary photo students were willing to trek to the Oakland Museum of California for the Dorthea Lange exhibit. 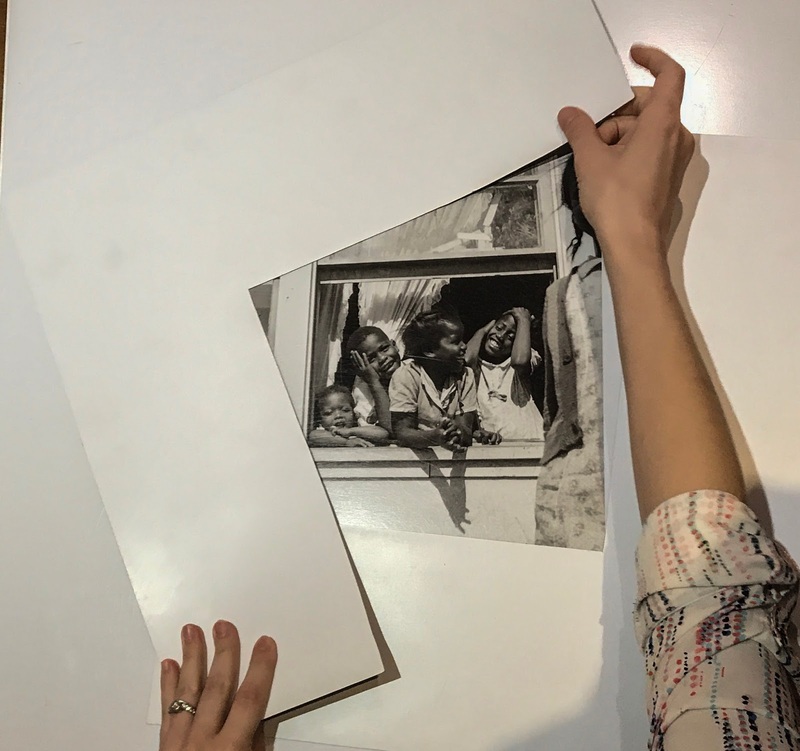 Most LMC art classes have "outside the classroom" learning experiences providing students with educational and memorable experiences. Being the modern students they are they made numerous cell phone photos to use as notes for our later class discussions. 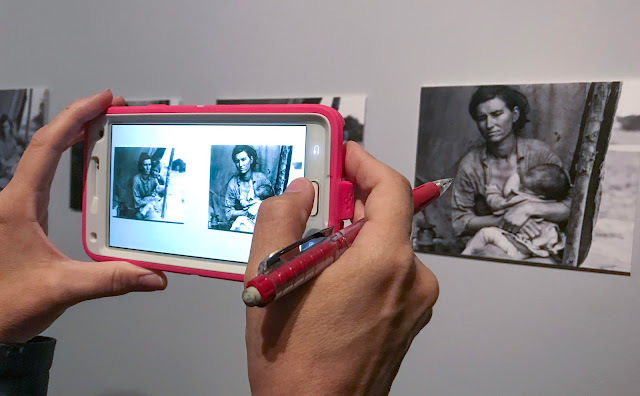 The museum had set up an interesting interactive cropping exercise to help explain the interesting decisions Lange made in cropping her images. The exercise provided cropping tools and some of her images for visitors to try their hand at cropping. The large display prints made by the museum from original negatives were stunning in content, sharpness and tonality.